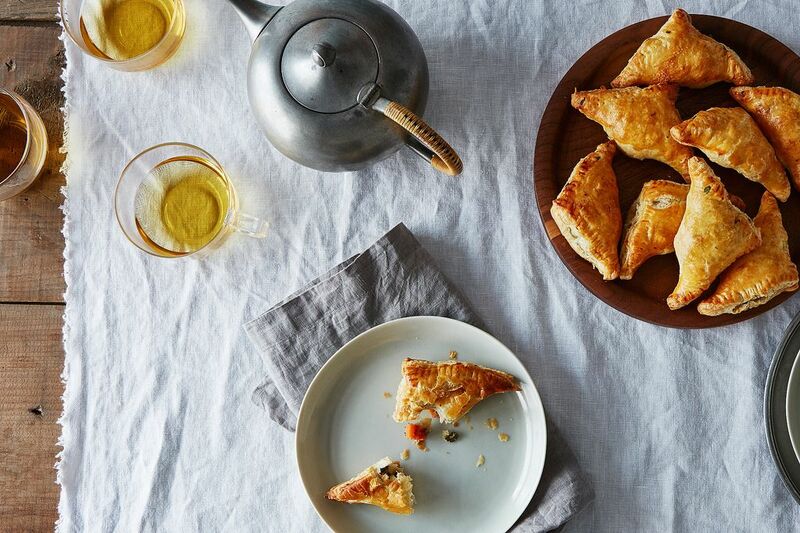 Could Samosas Be the Perfect Appetizer? Today: Prepare yourself to fill up on appetizers and forget all about dinner. In our hearts we know the truth: The dream meal is apps and zerts. Apps and zerts. Apps and zerts! Say it with me and you’ll realize it’s what you’ve needed all along. Entrées are important and occasionally necessary—like on Christmas, for example, when tradition dictates that you roast an animal— but appetizers are where the fun is (and desserts are a non-negotiable). Apps are small, varied, portable, and often fried—an ideal list of qualities. Even when offered alongside a main course, they are easy to pile so high on your plate that you forget to eat anything else. In my post-work hangry stupor, an app-centric dinner usually takes the form of samosas from my favorite neighborhood Indian place. Pockets of dough filled with potatoes and peas, they are simple to tack on to the end of a takeout order to meet the delivery minimum, a snap to eat (hand-held food forever), and so deliciously filling that I accidentally relegate the “real” meal to the freezer for another day. And that’s when I rediscover the Ben & Jerry’s. Apps. And. Zerts. While this homemade samosa recipe boasts a pretty serious ingredient list, do not be afraid: It’s mostly bits and pieces of flavorful things to make your filling eat-from-the-pot-with-a-spoon good. If you’re very brave and better with dough than I am, you should feel free to make and fry your own flaky casing; I love frozen puff-pastry with the heat of one thousand suns, and so does my oven. WHY NOT? But these made with puff pastry are called "puffs" in India. They are very famous baked item under savory category sold like hot cakes in bakeries in South India especially. Traditionally, Samosas have their own dough and they are ALWAYS fried and never baked. These are called veg puffs in India and available in a lot of bakeries and roadside eateries. Its the perfect easy to grab snack. I love making it at home. I'd place them in the Appetizer Hall of Fame too. Like yours, my 'go-to' version is made with puff pastry, and an extremely easy Anglo-Indian-ish filling: a spoonful of chutney (any kind; I usually just use a good store bought Major Grey's), a little finely chopped scallion and some grated sharp white cheddar cheese. I've made them for years - never had a single one leftover. Yes, they are perfect. Have been for eons. I had amazing salmon samosas (made in Trinidad) over the weekend and they were awesome.